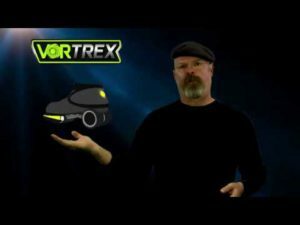 Jamie Hyneman, who is better known as the moustache guy from Mythbusters, is one of the people who is trying to create virtual reality electric shoes. Just recently, they have launched an IndieGoGo page asking for money to fund a thorough research into these VR shoes. Idea is this: Since movement in VR is a big problem due to VR motion sickness, we are limited to blink system (teleportation). Omnidirectional treadmills are a thing but since they take so much space and money it’s not a viable option. What they want to do is create treadmill shoes that position themselves back to center. You’ll be basically moonwalking. That way you won’t run into a wall or furniture, and you are not strapped to one place like in treadmills where the range of movement is greatly limited. 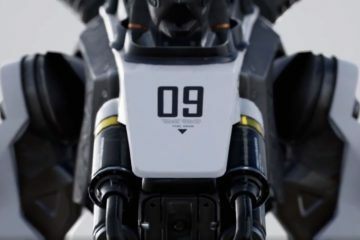 Shoes themselves are (would be) filled with technology ranging from haptic feedback, speed control, re-center, all sorts of detection sensors of different positions, and with motors that are strong enough to move people that weigh up to 215 lbs (97 kg). As is said on the image above, they also plan to use it outdoors for increased movement speed – that is, of course, if everything goes as planned. Jamie has tested these kinds of ideas since 1990’s, and since then he has joined with like-minded people to create various prototypes for it. 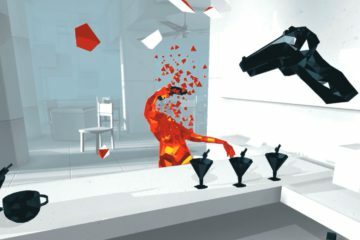 It’s a tough nut to crack though as VR locomotion is something that many have tried to solve but few have succeeded. I’d imagine that range of motion is something that could turn out to be a challenge. Legs like to be all over the place, in different positions and rotations, so these shoes have to be smart enough to know where you want to move, otherwise I imagine a lot of people falling. Especially when you want to stop, turn around, or accelerate immediately. If there is even a slight delay in responsiveness, it could lead to VR motion sickness and we are back to square 0. Although if I think about it, that problem could be still there due to unavoidable vestibular mismatch in movement that confuses your brain. However, I am sure they are aware of these issues, so I am very interested in where they are going to end up with this idea. If you want to support them, visit this IndieGoGo page. Depending on how much you fund them, they will give you a personal Hyneman Survival Kit. If you liked this post, feel free to share and like us on social media. It helps us A LOT! oooh i can imagine falling off with these rollerscates. 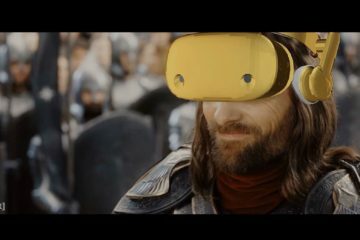 VR mask is like a blindfold, and legs will be strapped with roller scates. What could go wrong?